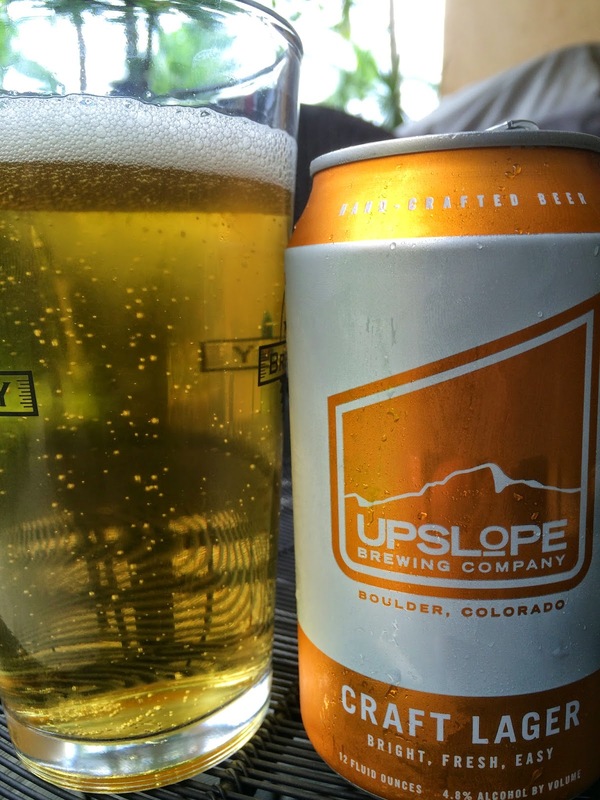 I just cracked open a can of Upslope Brewing Craft Lager that the brewery sent me to check out. For a week, it's been in the fridge saying "drink me," so today I obliged. The can has the same simple style as all of their beers, this one in an orange and white scheme. "Bright, Fresh, Easy" is this beer's slogan. 4.8% alcohol. Grainy and doughy aroma with a touch of light grassy hops. Sweet grain and toasted bread flavors dominate the beginning. Hints of honey and cereal also add some sweetness, but that is mostly equaled by a floral and grassy hoppy balance. Simple as expected, and that is just fine. Slightly sweeter than I wanted but still a refreshing winner! Check it out.